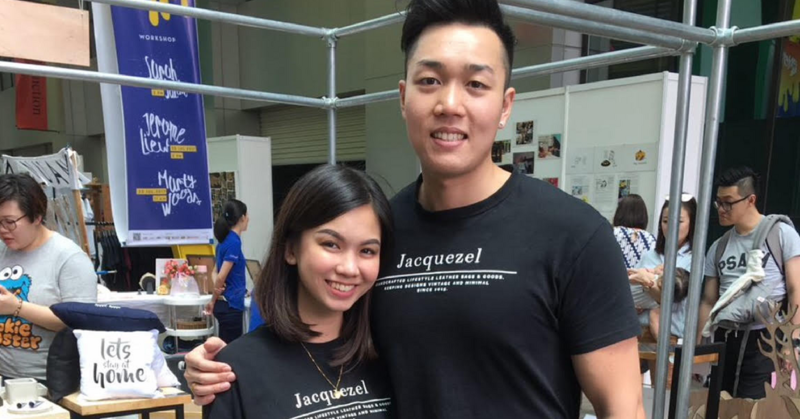 Chloe J. Moin had only RM50 when she began Jacquezel in 2016. 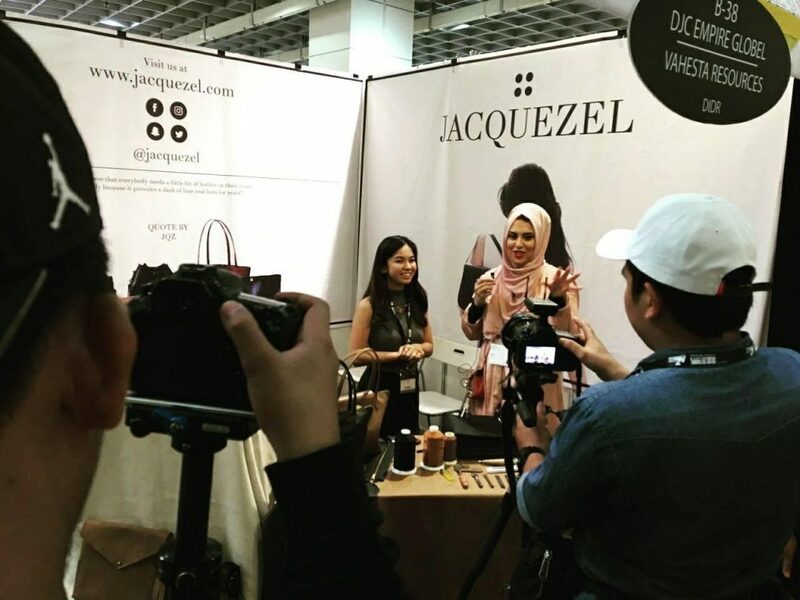 Today, Jacquezel is a website that sells simple,vintage-inspired genuine leather bags to Malaysians without costing thousands of ringgit. The founder grew the business from just RM50 into a 6-figure business. Chloe J. Moin had dreams of entering fashion school, but she had to give up on them because she couldn’t afford the tuition. By then, she had been sewing since her childhood, but never gained that crucial professional training that could take her fashion dreams forward. Instead, Chloe joined Universiti Malaysia Sabah, which became the starting point of her career into fashion anyway. For one thing, university was where she met Darren Chong, her life and now business partner. 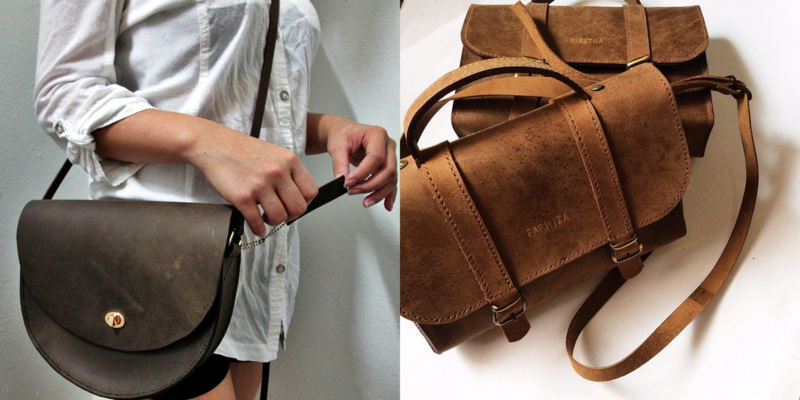 It was also in university where she gained an interest in vintage leather bags. The well-known durability of leather bags that can be passed from generation to generation appealed to her, especially since they are the kinds of staples that can withstand even the quickest fashion turnovers. She wanted to find her beloved “vintage” leather bags without forking out thousands of ringgit for them. So she simply decided to make some for herself. Once she finished her studies in Universiti Malaysia Sabah, it occurred to her that the best way for her to actually get her hands on those bags was to simply make her own. And if she could make her own leather bags for less than RM1,000, she could sell them to others as well. The problem was that she had no money, and some of her friends and family shot down the idea too. Editor’s Note: The previous sentence has been amended to clarify the situation the founder was in. We apologise for any confusion caused. Despite this, she put in a humble RM50 into sourcing small pieces of leather and figured out how to sew them into bags through YouTube. Her experiments eventually turned into an Instagram store, named Jacquezel after her middle name. All of the products sold on Jacquezel’s website are either handmade or semi-handmade leather products that are sold for less than RM1,000. Many of them are made-to-order, and customers can even request an inscription on their bags or wallets. Jacquezel managed to catch the attention and clientele of a couple of buyers after only 2 days of going live, which she took as a proof of concept that the business would work. So she doubled down on the business of growing her Instagram store. Luck was on their side, as working with the right influencers helped drive traffic up into their store. Chloe will also swear by establishing a presence in offline pop-up stores, which she highlights “the best way to engage physically with consumers, build relationship and trust”. Today, Jacquezel has a fully-fledged e-commerce website, and has made a 6-figures of total sales and counting. Starting out without much knowledge though, Chloe faced some road bumps along the way. To counteract these glaring errors, she worked to improve her craftsmanship by recruiting the help of a friend to teach her how. But low quality wasn’t the only hurdle that she had to face. “For years we’ve always played it safe. Our business model was to take pre-orders then produce them. That way, we avoid holding inventory on hand,” said Darren. Since all of their products are handmade, a typical bag would take up to 5 weeks to produce, but today’s online shop landscape isn’t having any of that. The team is now pre-manufacturing their bags, in hopes of catering to demands for speed. “With this move, we can focus more on branding & our relationship with our consumers. We also plan to grow our offline presence to showcase our products, and we’re open to partnering with other online/offline retail stores,” said Chloe. But to ensure that the handmade essense is retained, she recruited the help of an Indonesian partnering manufacturer. She told us that they’ve been producing semi-handmade leather products for a decade now, and she headed there to see their craft for herself. Today, Jacquezel has also embarked on a new mission. They launched a Pick Your Price option on their e-store, where customers have the option to pay a slightly higher price for a bag to donate to charity. Jacquezel will match any donations, and it will go to the children’s home Rumah Shalom Shelter Home in Puchong. Eventually, Chloe aims to reach other charities, and hope to help people from as far as Syria. “I was inspired by Everlane and their sales strategy and I thought I’d borrow the idea and give it a tweak,” she explained. Jacquezel’s bags and wallets can be found on their website here.